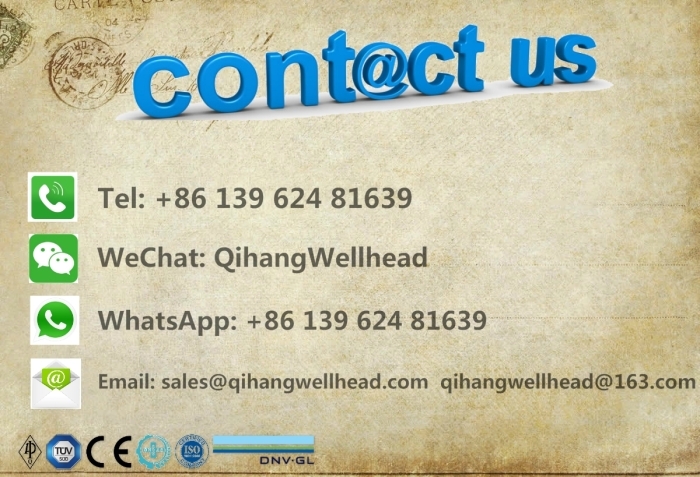 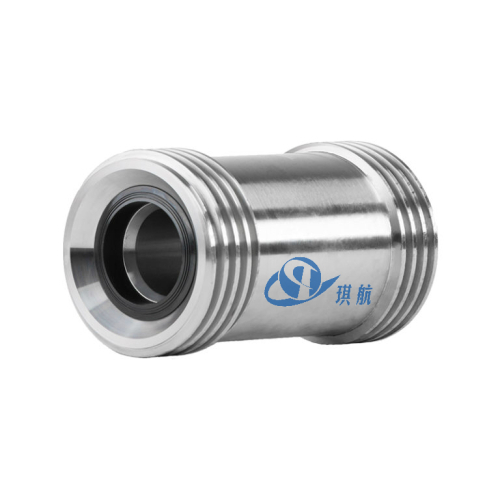 1", 1-1/2", 2", 3", 4"
Steel Hose Loops (Assemblies) produced by Qihang are used for high pressure well service applications, such as high pressure discharge lines, water supply lines, well test lines, and cementing and circulating lines. 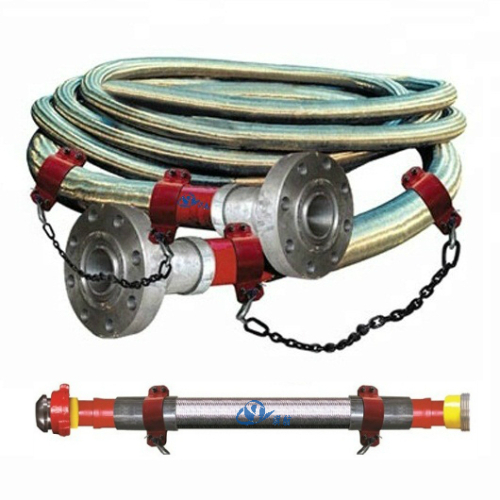 All of our Steel Hose Assemblies are shock and vibration resistance with fast make-up and break-out capability needed in the oilfields around the globe. 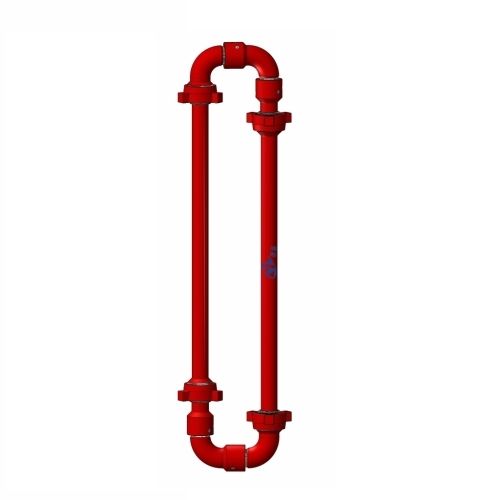 Our Cementing and Circulating Hose Loops can handle a complete range of standard and sour gas fluids at cold working pressures up to 15,000 PSI. 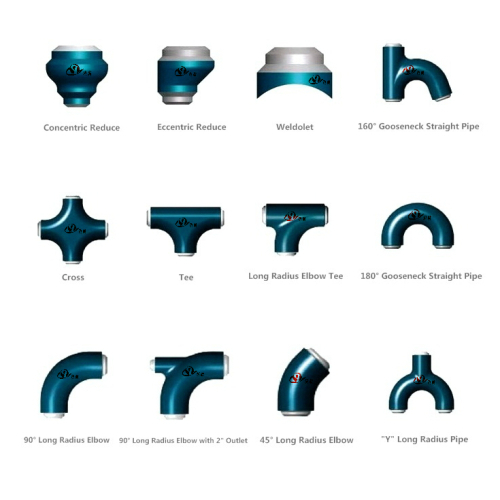 The hose loops consist of swivel joints and straight pipes, and feature excellent flexibility, stability, fast installation, and simple dismantling. 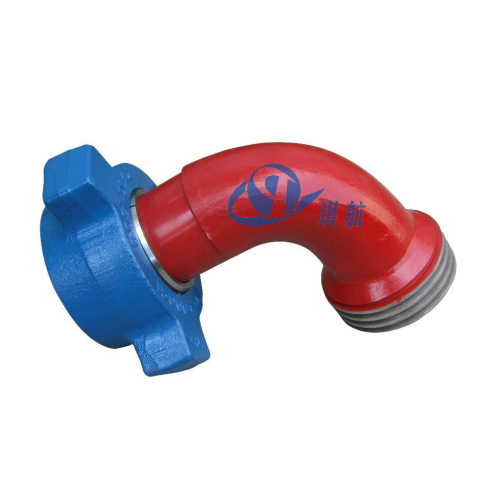 Hose loops are assembled by swivel joint, hammer union and pup joint. 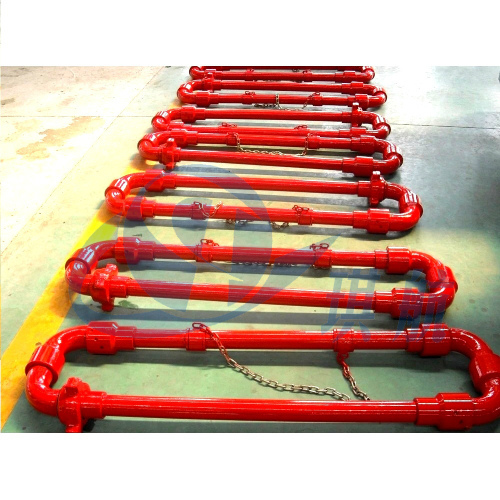 They can be easily connected to pumps or other pipes with Fig 1502, Fig 1002 and Fig 602 hammer unions. 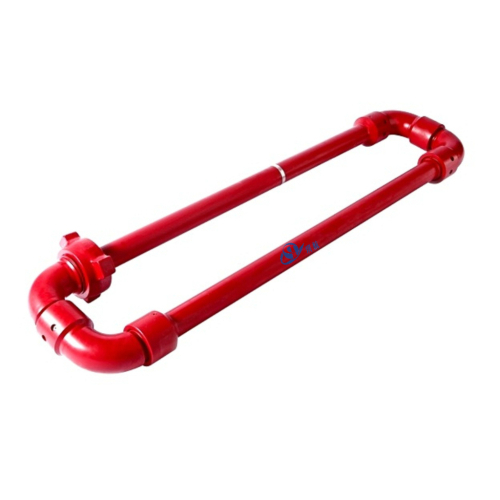 These Cementing & Circulating hoses are made in steel to meet ASTM/AISI standards, are rugged, fold up easily and quickly for transportation. 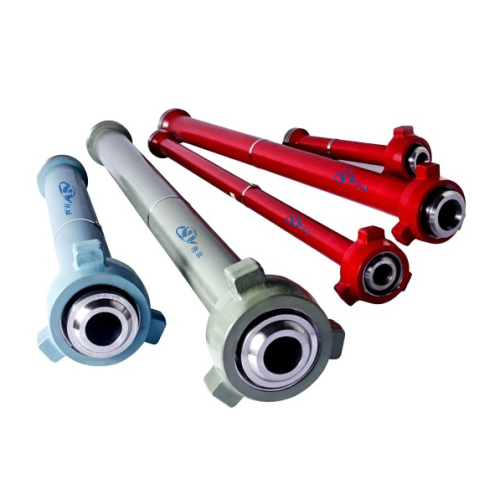 These are specially heat treated to get the desired hardness to suit various applications. 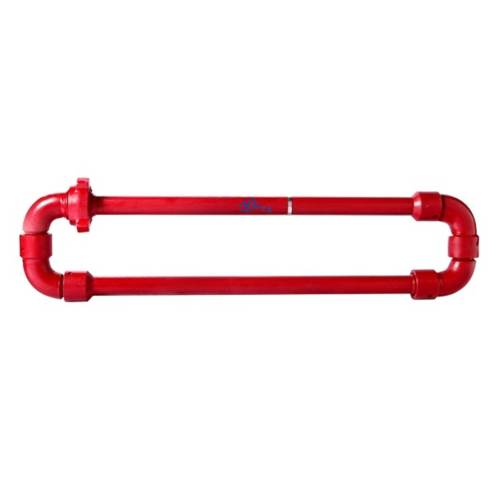 Three types of hose loops are available: short radius, long radius, and integral type, with sizes of 1-1/2",2",3",4", and pressures ranging from 6000 PSI to 20000 PSI. 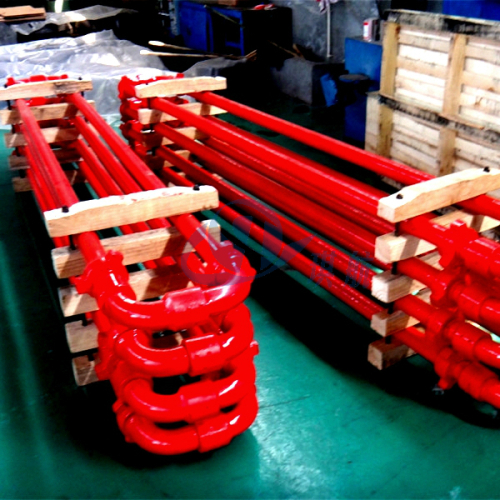 Other types, sizes, configurations and lengths can be supplied upon request. 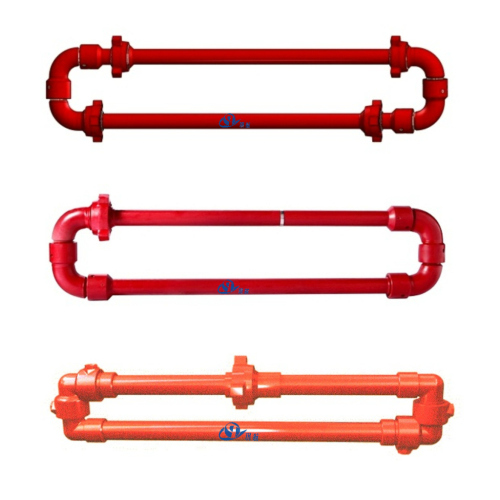 Method of Construction: These hoses can be manufactured either threaded or integral or welded constructions or with NPS end connections. 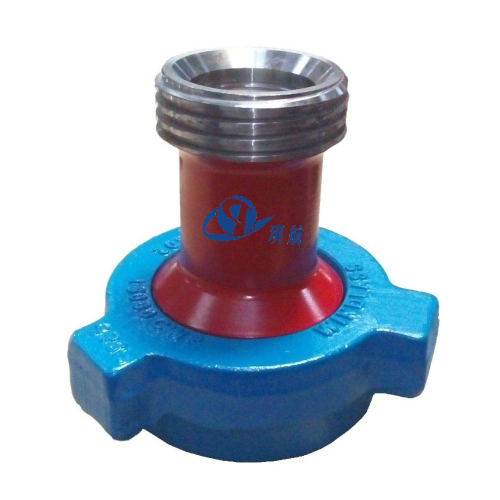 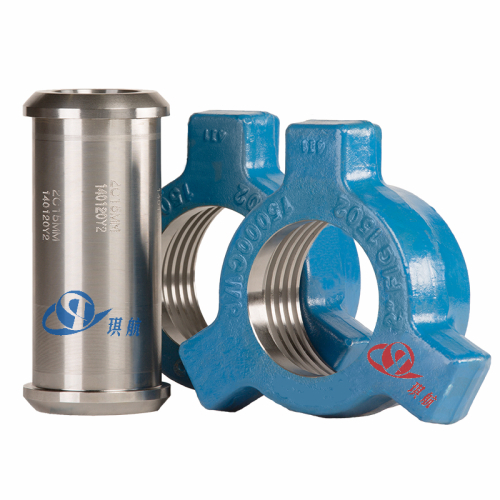 Interchangeability: Qihang's Hammer Unions or end connections are interchangeable with the unions and connections of all the major manufacturers, such as FMC Chiksan type, SPM, and ANSON. 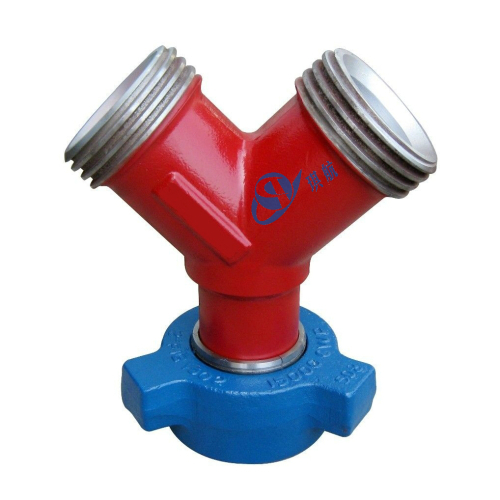 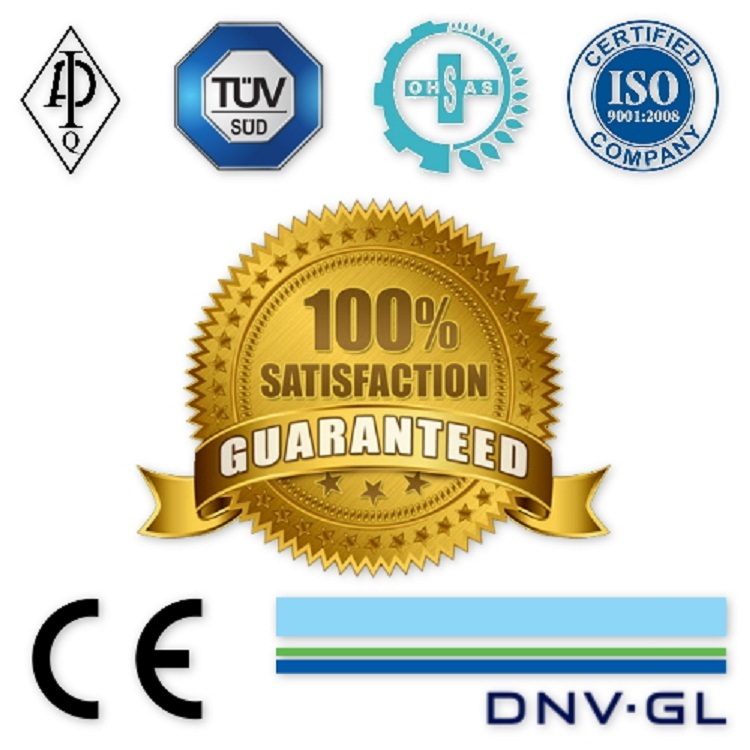 Application: Low Pressure Lines, High & Extra High Pressure Lines, Discharge Lines, Water Lines, Well Testing Lines, Cementing & Circulating Lines, Temporary Flow Lines and Extra Pressure Abrasive Applications. 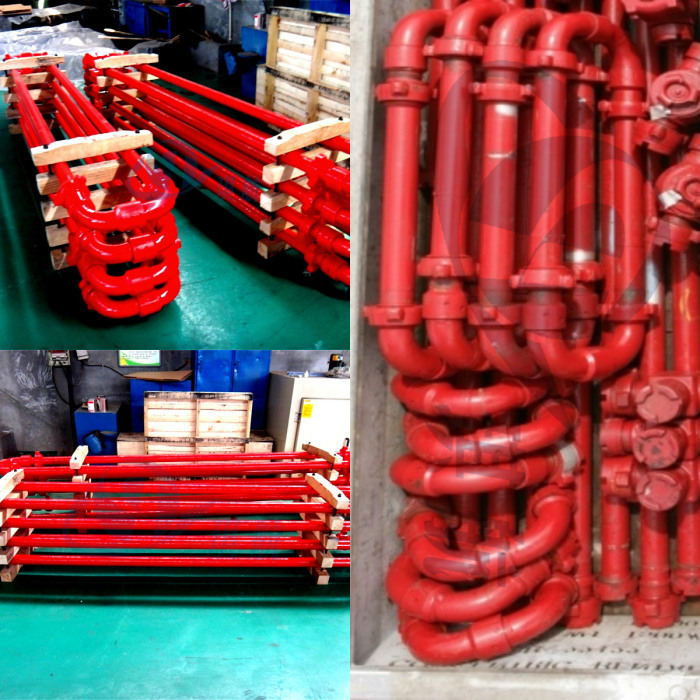 Qihang produces High Quality Chiksan Cementing and Circulating Steel Hose Loops at Truly Competitive Prices.